Better Business Bureau serving Dayton and the Miami Valley hosted its annual Eclipse Integrity Awards dinner this evening. 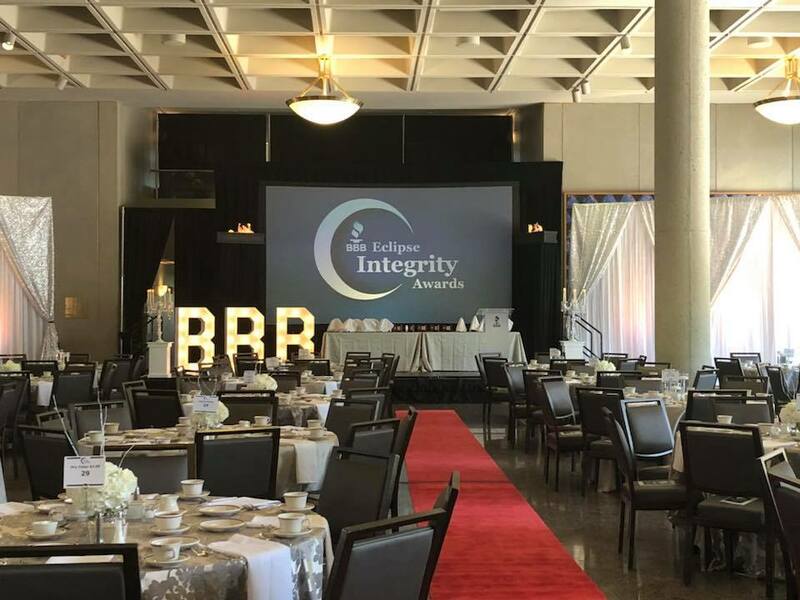 About 500 people joined the organization at the David H. Ponitz Sinclair Center to honor six organizations with the prestigious Eclipse Integrity Awards, five Students of Integrity Award winners, its Community Honor recipient and local Torch Award winner. In honor of the awards’ 25th anniversary, it will also be presenting a Silver Eclipse Integrity Award and Dave Donaldson Award of Distinction – The “3D”. 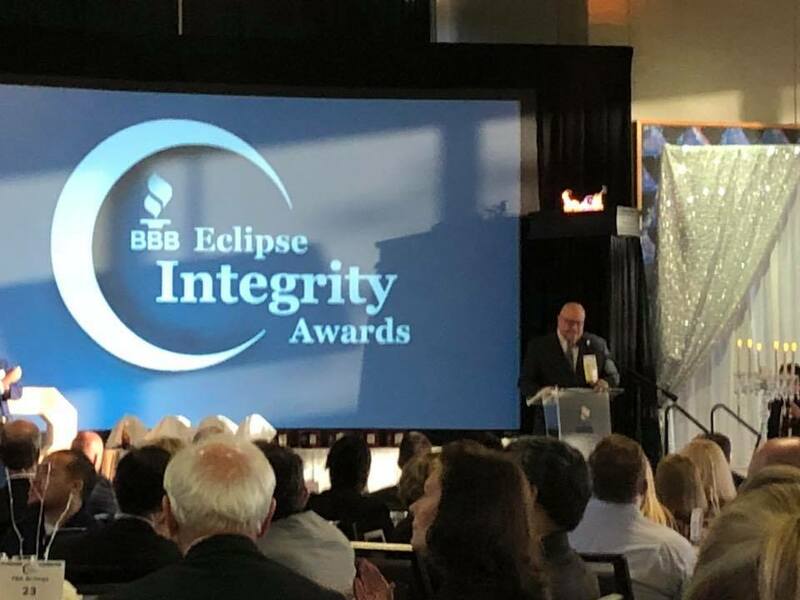 BBB’s Eclipse Integrity Awards, sponsored by WesBanco Bank, Inc., WDTN-TV, Cox Media Group Ohio and iHeart Radio, are about ethics, honesty and integrity. 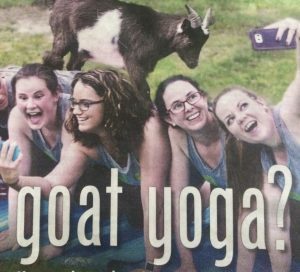 The competition was tough. BBB received nearly 750 nominations recognizing the outstanding performance of Miami Valley businesses and nonprofits. BBB’s Center for Business and Consumer Ethics, Inc. (CBCE) recognizes the winners of the 2018 DP&L Students of Integrity, five high school seniors demonstrating high moral character and outstanding ethics. The winners were selected from more than 50 excellent nominations. All high schools in your BBB’s service area received invitations to nominate two outstanding students from their senior classes. Each of the winners is recognized as a BBB Student of Integrity and will receive a $1,000 scholarship to a college of his/her choice. BBB’s Community Honor recognizes an organization that’s made significant contributions to enrich the lives of others. 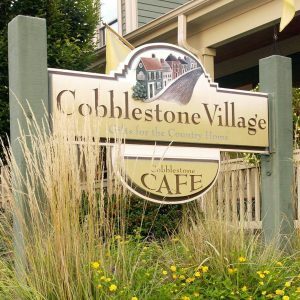 It spotlights the honoree’s efforts to realize not only its own mission, but its role in making the Miami Valley a thriving community, taking care of its citizens – individuals and organizations. The local Torch Award is dedicated to the legacy of great Miami Valley business pioneers, such as John Patterson, Wilbur and Orville Wright, Charles Kettering and Colonel Edward Deeds. It was through their ingenuity, leadership, generosity and mentorship to others that the Miami Valley has stood the test of time and recreated itself again and again. This award honors businesses, which have inspired, mentored and provided valuable support, education and guidance to staff, businesses and community leaders that have went on to make their successes in the Miami Valley. In honor of the awards’ silver anniversary, it presented a Silver Eclipse Integrity Award, recognizing one of its notable winners from the past 25 years. 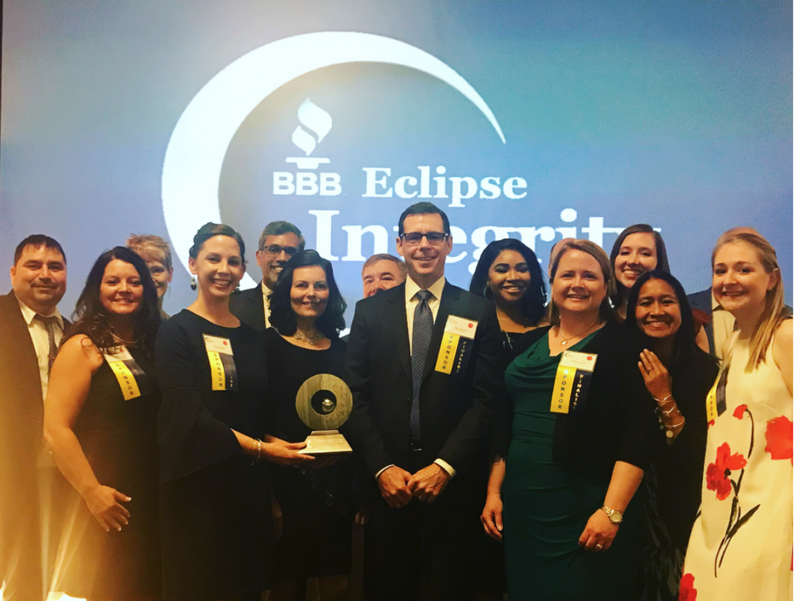 Only 14 organizations that had won the Eclipse Integrity Awards more than once or won the Eclipse Integrity Award and International Torch Awards competition were eligible. It also presented the Dave Donaldson Award of Distinction – The “3D”. This award recognizes a volunteer for exemplary service and their specific contributions leading to continued success or a significant evolution of your BBB. The Eclipse Integrity Awards 51-175+ employees category winner was Think Patented. The 176+ employees category went to PSA Airlines. 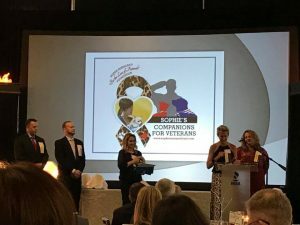 There was a tie in the Nonprofit Integrity Award 0-1 employees category and Hannah’s Treasure Chest, as well as Sophie’s For The Love Of Animals/Sophie’s Companions For Veterans took home the honor. The honoree in the Nonprofit Integrity Award in the 2-15 employees category went to Ronald McDonald House Charities of Dayton. TAC-The Abilities Connection was honored in the Nonprofit Integrity Award 75+ employees category. The Eclipse Integrity Awards are presented to businesses featuring strong leadership and team members. Their leadership is committed to ethics, building a culture of high character ethics and unifying team members around ethical practices. The team is dedicated to performance management practices, ethical human resource practices and committed to the community as demonstrated by their community service and support of the BBB ideals. From Think Patented’s start as an ink and paper company to its strategic transformation into a full-service marketing execution company, the team believes success is determined not just by revenue, but by the satisfaction and loyalty of employees, customers and vendors, and is only possible because of its commitment to ethics, innovation and community involvement. Customers of this Eclipse Integrity Award winner in the 51-175 employees category are treated with the highest ethical business standards. The team stands behind their work, fixing any mistakes without question. Think Patented has received numerous volunteer awards and donated time, talent and treasure without expectation of anything in return. In fact, every employee is permitted to take one paid day off annually to volunteer in the community. Integrity and ethics aren’t just buzzwords at Think Patented. PSA Airlines, the winner in the 176+ employees category, is committed to ensuring safe, reliable operations for its customers. It operates more than 750 daily flights to over 90 destinations and its growing. At PSA, passion is shared, professional excellence is expected and all are valued and respected. Leadership is committed to ethical practices and works to develop future leaders. The airline has three areas of community support focus: meeting children’s needs, military and veterans and improving the lives of people in need. 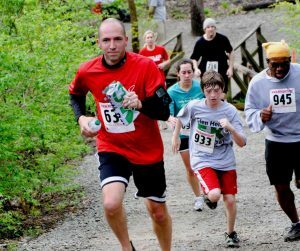 PSA and its employees support many causes with their time and dollars. Employees are even able to log personal volunteer hours to earn airline miles and donate them to a 501c3 of their choice. PSA Airlines believes in treating customers and each other with dignity and respect, which impacts the community. The Nonprofit Eclipse Integrity Awards are presented to nonprofits or charities, which demonstrate outstanding community service through their mission and accomplishments, demonstrate excellence in programs and fiscal stewardship, operate with integrity through ethical leadership and a strong team, are transparent in their communications and value the power of collaborations/partnerships. Their actions make a positive impact on the vitality and overall health of our community while supporting the ideals of BBB. There was a tie for the Nonprofit Eclipse Integrity Award in the 0-1 employees category. The first winner in the category was Hannah’s Treasure Chest. 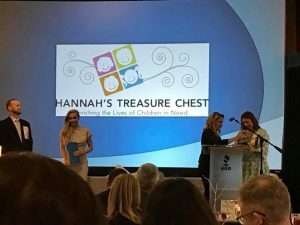 Hannah’s Treasure Chest enriches the lives of children in need by providing care packages of quality clothing, shoes, safety equipment, books and personal care items. Last year alone, it distributed over 241,000 items through more than 50 partner agencies with the help of 75 core volunteers who give over 20,000 hours of their time annually. These volunteers extend the reach of Hannah’s Treasure Chest by volunteering to help further other organizations’ missions on four Wednesdays in the summer — organizations like The Dayton Foodbank, Crayons to Classrooms and Habitat for Humanity. Mutual respect, viability, team achievement, accountability and communication are the core values embraced every day in Hannah’s Treasure Chest’s quest for integrity. The second winner is this category was Sophie’s For the Love of Animals/Sophie’s Companions for Veterans Foundation. After the tragic death of Sophie Kerrigan, her mom created the nonprofit to honor her memory and passion for animals. The organization raised money to supply food, medication, surgeries, kennels and more to shelters and sanctuaries caring for abused and neglected animals. In 2016, it began raising funds to adopt, train and pair animals with disabled veterans to allow them the ability and confidence to leave their homes, changing the lives of some of our nation’s heroes, while saving the lives of the animals. The organization values giving back to the community as the team understands without the community’s connection and backing, there would be no growth. 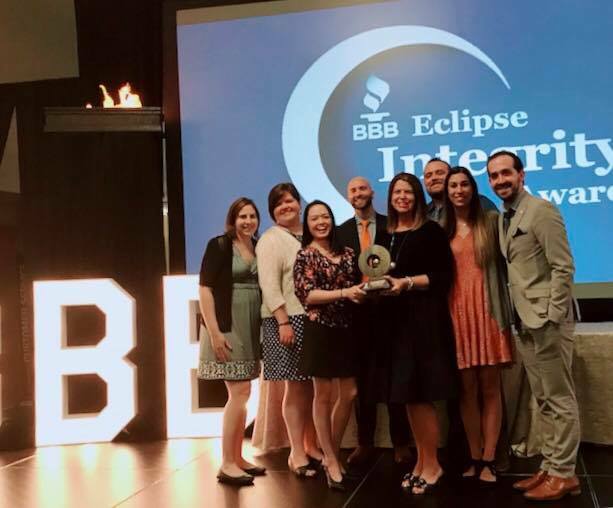 BBB honored Ronald McDonald House Charities of Dayton with the Nonprofit Eclipse Integrity Award in the 2-15 employees category. Ronald McDonald House Charities of Dayton’s mission is to support families of seriously ill children by creating a community of comfort and hope for families dealing with the unimaginable. In 2017, it provided well over 13,500 nights of service for families from over 20 US states and two different countries and cared for 100+ visitors daily in its Family Rooms. They couldn’t have accomplished it without the support of nearly 700 volunteers giving nearly 3,900 hours of service. The team is committed to being Ronald McDonald House Charities strong, which means they go above and beyond and pride themselves in operating with high standard of excellence. They are always looking for opportunities for continuous improvement. The team leads with compassion, celebrates diversity and operates with accountability and transparency. TAC-The Abilities Connection won the Nonprofit Eclipse Integrity Award in the 75+ employees category. TAC – The Abilities Connection is Clark County’s leading provider of service to people with disabilities. Its mission is to employ, connect and care for people with disabilities in community settings of their choice. The TAC team creates opportunities that foster independence, provide diverse experiences and build self-confidence. With the help of its clients, it provides valuable services and products to the U.S. Air Force and local businesses – from manufacturing and repairing cargo nets to growing lettuce and herbs to producing concrete lawn sculptures. The organization’s culture is inclusive, collaborative and positive. Team members take pride in their work, treating each person with dignity, and love being a contributing part of the community. 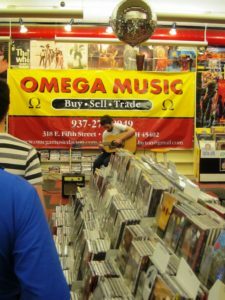 Its efforts have even been recognized by SourceAmerica. Jenna Albezreh from Vandalia-Butler High School has received college acceptances from both Harvard and UC Berkley. She’s founded a youth interfaith art initiative, been featured at the TEDx youth conference and the international conference of peace museums in Belfast. Abigail Hissong from Milton-Union High School is a student athlete, playing tennis, softball and basketball, as well as a student government leader. Abigail’s plan is to attend Wilmington College and major in agronomy with a minor in agricultural communication. Jessica Miller from Tippecanoe High School is the editor of her high school literary magazine and a volunteer for the Greater Dayton Volunteer Lawyers Project. Jessica plans to attend Kent State University and focus on communication and political science. Alanna Wall from Stivers School for the Arts created a nonprofit that’s now represented in 35 states, Canada and Mexico, and has served over 18,000 clients. Alanna’s been accepted to several colleges and wherever she goes, she’ll continue to further her leadership goals. Alexander Weiss from Arcanum-Butler High School has been president of his local chapters of both Future Farmers of America and 4H. He plans to attend the Ohio State University and major in agricultural engineering, then work in either Darke or Mercer county. During the evening, the 2017 Torch Award recipient, Danis Building Construction Company, represented by John Danis passed the torch to the 2018 honoree, McAfee Heating & Air Conditioning Co., Inc., represented by Greg McAfee. McAfee Heating & Air Conditioning Co. invested in its community by purchasing a neighboring building, which was in a state of disrepair to bring all of its operation under one top-notch facility, which also features two training centers, an idea center, multiple conference rooms, basketball court and areas for rest and relaxation. Committed to helping others grow personally and professionally, McAfee began a scholarship program in 2015 called “You Can Count On Me,” which recognizes and awards ten area high school seniors with $2,500 scholarships. Greg McAfee is certified and approved to teach State of Ohio Continuing Education classes for the renewing of state licenses. He also hosts classes for other HVAC contractors to learn how to grow business. More than 150 contractors have participated in this training in the last six years. The company’s been a proud sponsor and partner of the K99.1 Cares for Kids Radiothon, which raises money to provide high-quality pediatric health care to infants, children and teens. McAfee hosted its first Truck-or-Treat event last year, attended by nearly 1,500 local children and their families. 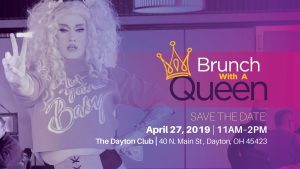 Countless donations, sponsorships, volunteer services and fundraising efforts take place benefiting a variety of organizations, including Athletes In Action, Dayton Development Coalition, The Salvation Army Dayton Kroc Center and Ronald McDonald House Charities of Dayton. The Greentree Group/Back To Business I.T. took home the honor. As Travis Greenwood, president and CEO, says, “Integrity drives the company’s decisions. It motivates our actions. 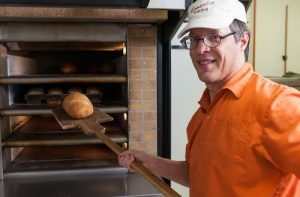 It serves as the foundation for our business and is, without doubt, the key factor for Greentree’s success.” The list of reasons the company was selected is long. 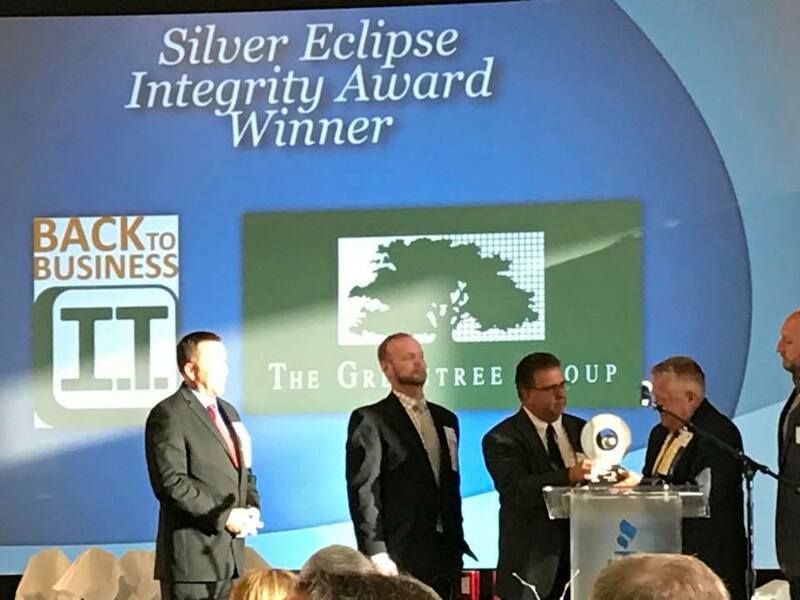 Since the company first won the Eclipse Integrity Award in 2010, Back To Business I.T. has experienced a 3,500% growth explosion. It’s eliminated yearly performance appraisals and replaced them with better daily communication and on-going face-to-face performance discussions. It has a generous professional development program that employees are encouraged to take advantage of to earn degrees and certifications. Throughout the years, Greentree has donated more than $1 million in direct contributions and in-kind services to dozens of organizations and efforts, including Dayton Art Institute, FLOC, BOGG, TAC Industries and Wright State University Foundation. Since 2018 is Greentree’s 25th year in business, it’s holding monthly contests and drawings with employees. On behalf of the winners, Greentree donates $1000 to the winner’s favorite charity. The owners of Greentree have even awarded several full one-year scholarships to deserving Wright State University students. The first recipient and the award’s namesake is Dave Donaldson, WesBanco Bank, Inc. Today, BBB-Dayton is one of the most successful BBBs and membership associations in all of North America, larger and more impactful and relevant than many in markets much larger than our own. It takes the efforts of many board members and staff alike to maintain this success. 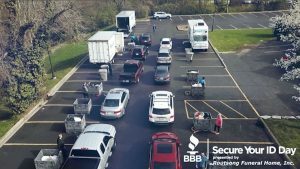 The efforts of Dave Donaldson and WesBanco helped launch success and turn this BBB into the organization that it is today. They assisted by providing financial resources necessary to navigate through the tough economic times that began in 2008. An independent panel of judges selected the Eclipse Integrity Award winners. The Eclipse Integrity Awards judges included Neil Arthur, Arthur Associates, LLC; Linda Ashworth, Dayton Area Chamber of Commerce; Dr. Bud Baker, Wright State University, Raj Soin College of Business; Steve Budd, CityWide Development Corporation (retired); Dan Davis, PNC Bank; Kim Duncan, Elements IV Interiors (retired); Michael Goldshot, Goldshot, Lamb & Hobbs; Bob Hothem, The Alternative Board Miami Valley; Harry Seifert, Standard Register Company (retired); Rick Stover, CPA, CGMA, PricewaterhouseCoopers (retired); Mike Wathen, Bravo SCM; and Susie Woodhull, Woodhull, LLC. Another independent panel of judges selected the Students of Integrity Award winners. The judges were Paula Cosby; Erin Craig, National Museum of the U.S. Air Force; Lisa Crosley, EnviroControl Systems, Inc.; Jamie Jarosik, WDTN-TV; Jennifer McCormick, HORAN; Sandy McNamara, Dominion Academy of Dayton; Chris Moore, Eastway Corporation; Dr. Pat Prikkel, Chiropractic Health & Wellness Center of Dayton, Inc.; Shelby Quinlivan, City of Middletown; Kevin Sanford, Synchrony Financial; Ariel Walker, City of Dayton; and Tom Wiggerhaus, WesBanco Bank, Inc. The Red Shoe Society Dayton and the Jr. Red Shoe Society invites sons and their mothers, grandmothers, and friends to share an evening of dancing and games, to support Ronald McDonald House Charities of Dayton. The Boys Night Out with Mom is a memory-making event that is both fun and teaches our young men the importance of giving back to help others. Festivities include: Dinner & Dancing, Raffles, Sports, Games & Prizes, Sweets & Treats, and Photo Station! If you’re interested in attending, don’t delay, register today! 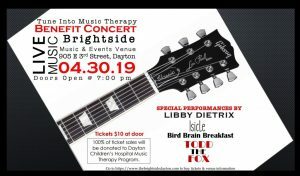 Proceeds benefit Ronald McDonald House Charities of Dayton and its mission to provide a “home-away-from-home” to families of critically ill or injured, hospitalized babies and children. 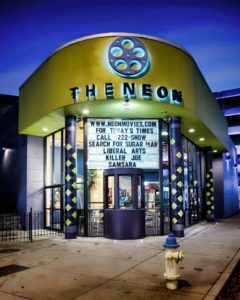 Can’t attend but want to help? Share this event and Subscribe to their mailing list for future Red Shoe events. 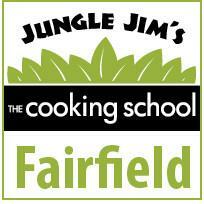 Cost is $30 per guest, registration available until Wednesday, 10/4. Registration required to attend. For questions, please contact Marisa Brown at [email protected]. Taka A Little Lady To High Tea! h your American Girl Doll. Share an afternoon together eating and laughing while enjoying a fashion show, crafts, doll boutique, raffle and much more. American Girl Dolls are welcome but not required. Afternoon Tea: 2 P.M. – 4 P.M.
critically ill or injured families of hospitalized babies and children. If you would like to donate a raffle or silent auction item, please contact Karen Hunt, RMHC Dayton Special Events and Partnership Development Director at [email protected]. You can also sign up to volunteer to help with general event tasks such as set-up, tear-down, assisting the event committee during the event, directing attendees, working the check-in table and more. Ronald McDonald House Charities of Dayton is partnering with iHeart Radio’s Mix 107.7 to present the 8th Annual Mix 107.7 Radiothon on September 22, 2016 from 6 am to 6 pm. 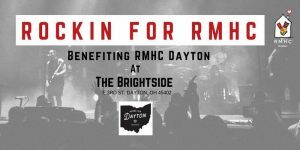 Your favorite on-air personalities Jeff, Gina, and Dave and afternoon hosts Kristi Leigh, Shaun Vincent and Doreen will broadcast live from the Ronald McDonald House lobby to help raise funds to support RMHC Dayton’s mission and the efforts that improve children’s health within our region. Hundreds of families are overnight guests at the Ronald McDonald House each year, and the Ronald McDonald Family Room at Dayton Children’s serves nearly 60 families each day. We invite YOU to tune in to Mix 107.7 this day to support RMHC guest families during a time when they need it most. Hundreds of families are overnight guests at the Ronald McDonald House each year, and the Ronald McDonald Family Room at Dayton Children’s serves nearly 60 families each day. We’re in need of volunteers to help us during out Mix 107.7 Radiothon, a day of fun and fundraising to support RMHC guest families. Sign up here to volunteer. Share this story on your facebook or twitter. By phone at 937-535-CARE or 937-535-227 or online at www.RMHCDayton.org. Fund a night of stay for a guest family! 100% of your donations stay local and help families of hospitalized children. After this amount of snowfall, you’re probably not interested in hearing about anything else frosty heading your way. But before you run for your shovels, know this one comes with a straw. Yes, McDonald’s has brought back the brightly colored green Shamrock Shake! Which also means March, and warmer weather, is drawing nearer. 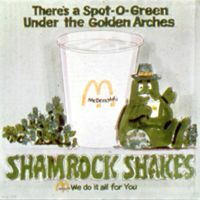 Some of us might remember seeing commercials in the late ’70s when the shake was touted by O’Grimacey, a big, green, amorphou s Golden Arches mascot who sported an Irish accent and visited his nephew in McDonaldland every year for St. Paddy’s Day. Obviously that name wasn’t catchy enough and was scrapped years later for the more alliterative Shamrock Shake. But the beginnings of the Shamrock Shake are a bigger part of McDonald’s history than you might know. It was perfect: The milkshakes were green – the Eagles’ color! With the support of McDonald’s founder Ray Kroc and regional manager Ed Rensi, Tuckerman launched a week-long promotion around the Shamrock Shake, with all profits to be donated to the cause. Proceeds from the seasonal promotion sales went to purchase a four-story, seven-bedroom house Evans had found near the hospital in Philadelphia, a “home away from home” for families dealing with a sick child. This became the very first Ronald McDonald House. 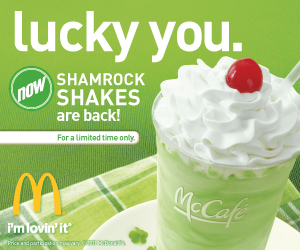 Now that’s a reason to celebrate the return of the Shamrock Shake! 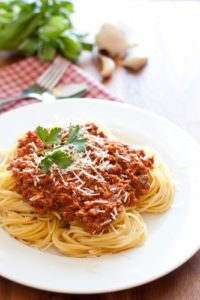 The Amber Rose Restaurant and Catering specializes in homemade Eastern European Cusine including German, Lithuanian, Polish, Hungarian, Russian and Italian cuisines. Our bar is made of imported Turkish marble, perfect for having an appetizer and spirits with friends. Our beer and wine lists consist of exemplary, hard-to-find European beverages. The building is located in the heart of Old North Dayton. We also specialize in custom catering to fit any of your needs. 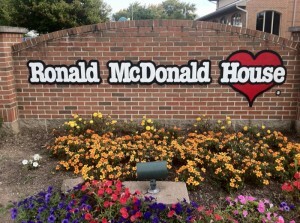 Just down the road from the Amber Rose is another place that Daytonians know about- Children’s Medical Center, and of course, the Ronald McDonald House, which gives parents of Children’s patients a place to stay while their kids are being treated at the hospital. What a great service these two provide local parents! The Amber Rose has just announced that they will be sponsoring a fundraiser through December 22nd for the Dayton Ronald McDonald House Charities! This donation will be given to the families of the critically ill hospitalized children. Every customer that brings in a donated item will receive 5% off of their bill. Each additional item will constitute as an added percentage off- Up to 10%. 1 ITEM=5% OFF, 3 ITEMS=8% off *Only 1 discount per check. Not valid with any other discounts. They are looking for items like canned vegetables, fruit and soup. Gift cards to Kroger, cereal, granola bars, and paper products, and you can find all the details on the Amber Rose website– what a great way to help a wonderful charity! Boulevard Haus, located at 329 E. Fifth Street in the Oregon District, is getting into the holiday spirit and invites you to join them to celebrate the German Way. House specialties include sauerbraten, gulasch, galettes, beef rouladen, sausages and other traditional German fare, complimented by a selection of German beers and wines. 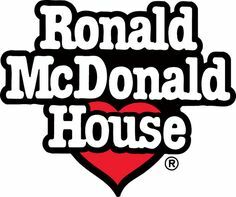 When you dine at Boulevard Haus through December 16th, 10% of your food bill will be donated to the Ronald Mc Donald House in honor of St. Nicholas. Owner Eva Christian explained that St. Nicholas is celebrated in Germany on December 6th, the anniversary of his death. St. Nicholas dedicated his life to serve God and used his entire inheritance to assist the needy, sick and suffering, in particularly children. RMHC of the Miami Valley Region, Inc. provides a temporary home-away-from-home for families of critically ill, hospitalized children and supports efforts that improve children’s health within our region. A private party room can accommodate groups of up to 35. Party Trays are also available to cater your offsite events. Call 824-2722 for more information. On September 23rd, 2010 from 6:00am to 7:00pm Mix 107.7 will hold the second Radiothon to benefit Dayton’s local Ronald McDonald House. Throughout the 13 hour Radiothon, we will be broadcasting LIVE from McDonald’s on Dayton-Xenia Road in Beavercreek, and McDonald’s on Stroop Road in Kettering. Not only will listeners be entertained by Mix 107.7 DJ’s Jeff Stevens, Kristi Leigh and Sean Vincent, but they will also get a chance to learn more about RMHC as we bring our mission to life on air! This year we are asking the generous Miami Valley community to help us KNOCK OUT our goal of $30,000! 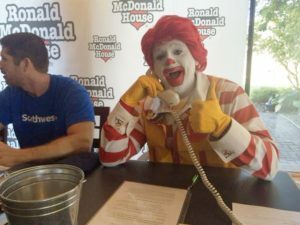 There are several ways you can help support the Radiothon and RMHC’s mission! 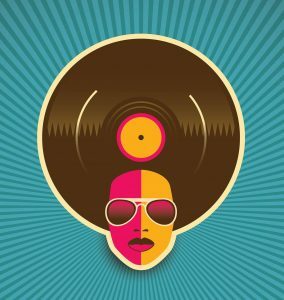 1) First and foremost, tune in to Mix 107.7 on September 23rd! 2) Encourage your company, department, school or club to collect spare change for donation RMHC. Groups that collect over $250 will be mentioned live on-air! Thanks to the generous support of Wright-Patt Credit Union, donations can be counted for free at any WPCU location from Sept. 13th – Sept. 18th. 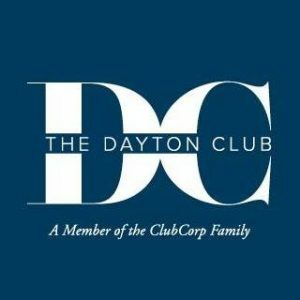 3) Listeners can also Pay-2-Play and dedicate songs throughout the day for a good cause (Available soon via http://rmhcdayton.org/donate.php). 4) Also, for the music fans out there, bid on the SummerFest guitar signed by Blondie AND Cheap Trick at http://www.mix1077.com/pages/Radiothon2010.html . Thank you Mix 107.7 Radiothon partners and sponsors for helping to raise much-needed funds for families with hospitalized children; these include Miami Valley Hospital, ClearChannel, McDonald’s, Wright-Patt Credit Union, WDTN-2, McFall & Son Insurance Agency, Grange Insurance, and more. 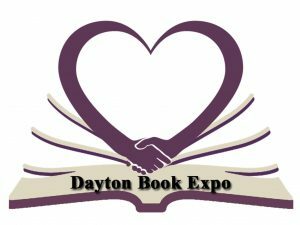 If interested in sponsorship opportunities which include dedicated time-slots, please call Kevin Tibbs at 937.224.0047 ext: 40 or go to http://rmhcdayton.org/sponsorship.php. Ronald McDonald House Charities of the Miami Valley Region, Inc. is a private nonprofit organization. Funds raised help cover the expenses associated with nights of stay for families with critically ill, or injured, hospitalized children. Each chapter of Ronald McDonald House Charities is autonomous, with its own Board of Trustees, responsible for the governance of the organization. 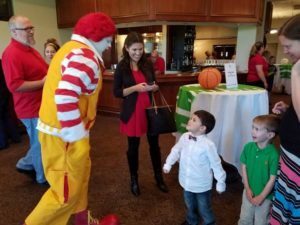 Ronald McDonald House Charities is not owned by Dayton Children’s, or by McDonald’s, and is responsible for its own fundraising.